Prepare to be wowed at a once-in-a-lifetime experience as the legendary Cirque du Soleil comes to India for the first time. 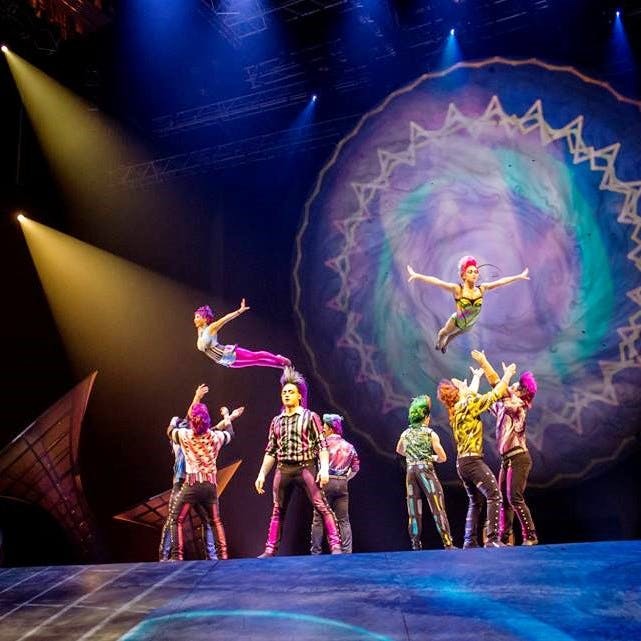 The Canadian circus behemoth that has wowed audiences around the world with productions in more than 450 cities. In India, they will present their 43rd production, 'BAZZAR', a jaw-dropping medley of spectacular acrobatics, foot-stomping music, dance, drama, colour, creativity, comedy, magical lighting and more. Trust us, you wouldn't have seen anything like this before. They will start the shows with Mumbai from November 15 and Delhi from December 25. Seriously, don't miss it. It is a showcase for the limits to which humankind can push itself. Get your seats on BookMyShow. They will set up their tent in Delhi and Mumbai. Check BookMyShow for timings and venues. Tickets start from INR 1,250 and go up to INR 6,500. The show in India will be performed under a new version of their signature Big Top Tent. It is 62 ft high and 135 ft in diameter, and has a seating capacity of over 1,500.